Accessible web design ensures that your digital content and online services meet the needs of all site visitors. In addition to our expert paid-for Digital Accessibility Products and Services we are also always happy to help you develop your own skills through our useful resources webpage which includes useful links, webinars, blog posts and events relating to digital accessibility. It’s the law – enshrined in the Disability Equality Act (2010). If your website does not meet certain design standards, then you could be sued for discrimination. There’s a compelling business case – the UK’s 12 million disabled people have a spending power of £120 billion. Are you losing out on this potentially lucrative market? Accessible websites are 35% more usable by all users - whether they have special access needs or not. Accessible websites are cheaper to run and maintain – they simply make good business sense. W3C's Web Accessibility Initiative (WAI) offers an excellent resources section plus Web Content Accessibility Guidelines and Checklists. www.w3.org/TR/2008/REC-WCAG20-20081211/ - Web Content Accessibility Guidelines 2.0.
www.w3.org/WAI/WCAG20/quickref/ - Web Content Accessibility Guidelines 2.0 quick reference. www.w3.org/TR/WCAG10/ – Web Content Accessibility Guidelines 1.0.
www.w3.org/WAI/Resources – The resources section is a good place to start learning. The Web Design Group promotes good web design by offering a range of free technical specification references for HTML authoring plus online checking tools for verifying compatibility with relevant web design standards. Trace Research and Development Center is part of the University of Wisconsin and offers a goldmine of information and tools to help you design with accessibility in mind. WAVE. If your website is already online its accessibility can be checked against W3C standards with Wave – a free web accessibility evaluation tool that identifies those elements that require adjusting. Five golden rules for compliant alt-text. How Preston City Council got to grips with web accessibility. Web Accessibility Toolbar Toolbar – an excellent tool to help check the accessibility of websites. Equality Act 2010– UK Equality legislation. Outlaw.com – contains the popular 'Disabled access to websites under UK law' guide, and news articles relating to accessibility and the law. Centre for Excellence in Universal Design - Provides a plain English interpretation of the W3C guidelines together with the reasons behind why each checkpoint is important. 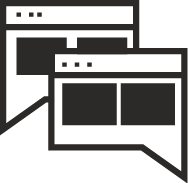 The Web Standards Project – The Web Standards Project website provides advice and information on the implementation of web standards and runs a campaign to encourage browser developers to ensure they adhere to W3C standards for code compliance. For an introduction to the rational behind standards they have an excellent educational FAQ at http://archive.webstandards.org/edu_faq.html. Useit.com – Useit.com provides advice on both accessibility and usability featuring articles and news links. WebAim – WebAim, the Web Accessibility in Mind Project provides a number of articles, a discussion forum and a number of simulations which is useful for testing websites. The Web Design Group are excellent at demystifying the W3C recommendations and providing tutorials on accessible implementations. A List Apart – resources for people who make websites. Accessify – Accessify provides up to date accessibility news, advice and resources. It also hosts the Accessify Forum which is an accessibility related discussion group. AskTog – AskTOG by Bruce Tognazzini is perhaps the best place to start learning about human computer interaction (HCI). Dive Into Accessibility - Dive Into Accessibility is an online book which discusses accessible design issues and techniques. Juicy Studio – Juicy studio provides a repository of useful articles on accessible techniques and practices together with some useful tools to assist developers in creating accessible content. W3C Schools – Whilst not specifically about web accessibility this website includes many tutorials on learning HTML, CSS, XML and much more.